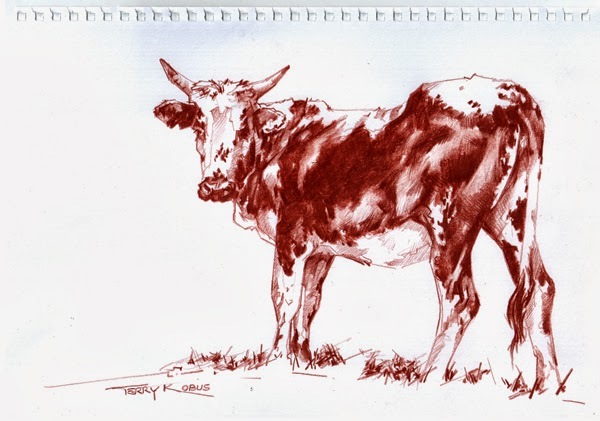 The works on this his 7th annual solo exhibition at Bamboo Gallery fit neatly into an aesthetic and painting style that has earned him popularity and admiration from art collectors locally and internationally. While several of the paintings have his trademark dynamic colour palette a new figurative series worked in graphite and oil paint are charming and sensitively rendered. 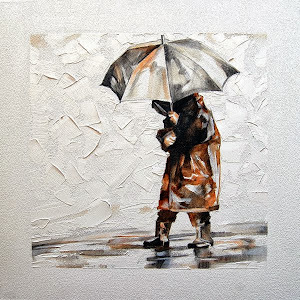 The blocky chunks of paint palette knifed onto the canvas are set against soft sepia tones. The images unfold before your eyes, evoking feelings of nostalgia in the viewer. 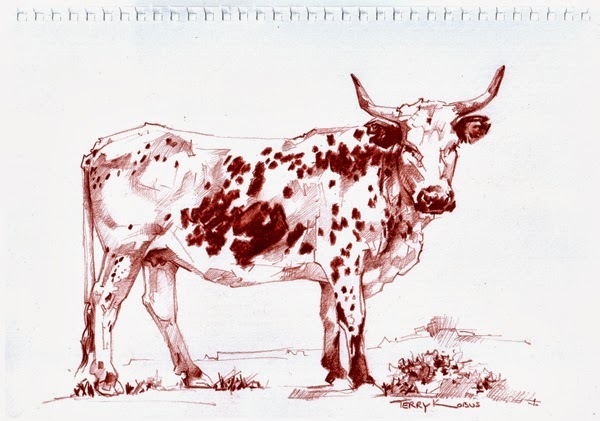 Exploring round and square formats this year’s paintings revisit some of his favorite themes, including his ever popular Nguni Cattle studies. Was born and educated in Zimbabwe. 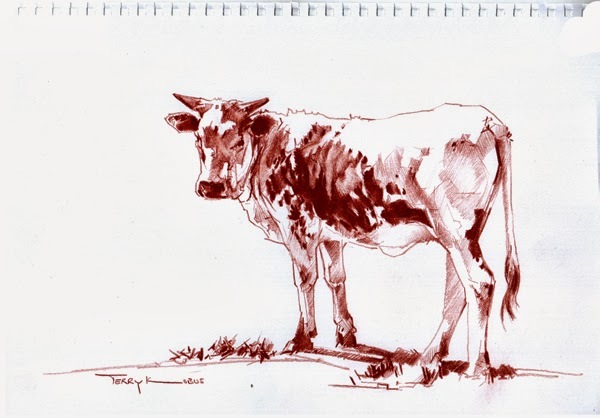 He enjoyed spending time in the bush while growing up and this is evident in his choice of subject matter as he still returns to remote places to find inspiration. 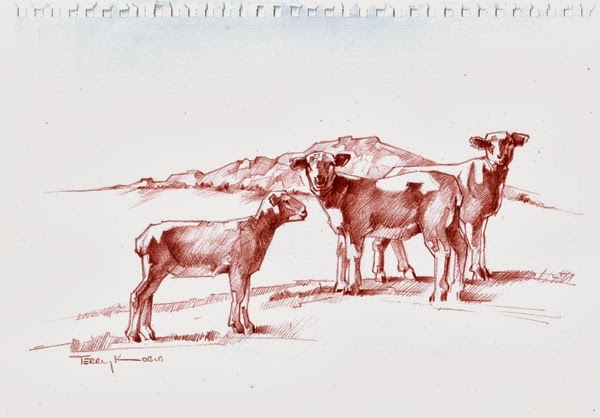 He left Zimbabwe and moved to South Africa to study Fine Art in the late seventies after which he accepted a post as lecturer in Graphic Printmaking at the then WITS Technikon in Johannesburg. He has been involved in graphic design for 30yrs and returned to his first love, oil painting, 10 years ago. 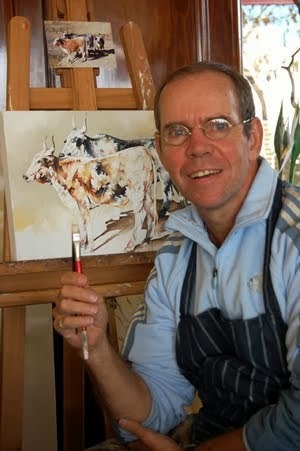 Hermanus is his home and Originals Gallery in the town's main street is his working studio.